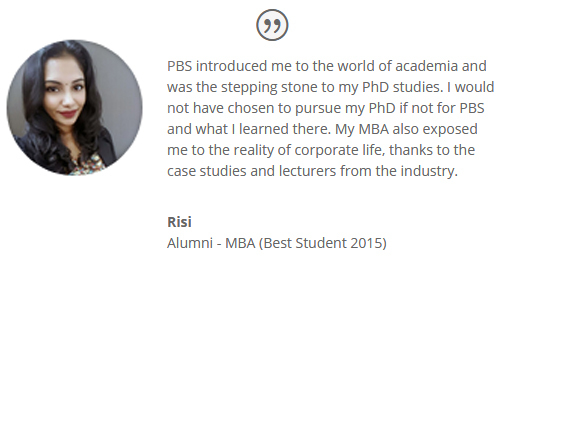 Putra Business School (PBS) is a leading business school accredited by AACSB and ABEST21. All of our programmes are accredited by MQA. Get a jumpstart on your future and live the PBS experience! Putra Business School cordially invites you to update your particulars in the Alumni Record Form. Click here to do so.